A good night’s sleep can be beneficial for everything from your skin to your state of mind, so as the clocks turn back we give you a guide to how to get the best night's sleep ever. If you try and go to sleep at a similar hour every evening, and wake up at a similar hour most mornings, then your brain will become familiar with the pattern of your sleep times and your internal body clock will adjust and stick to the routine – meaning you should wake less (if at all) during the night. Light prompts your body to wake up and start the day. Bensons for Beds and The Sleep School recommend using a sleep mask to ensure you do not wake up prematurely. 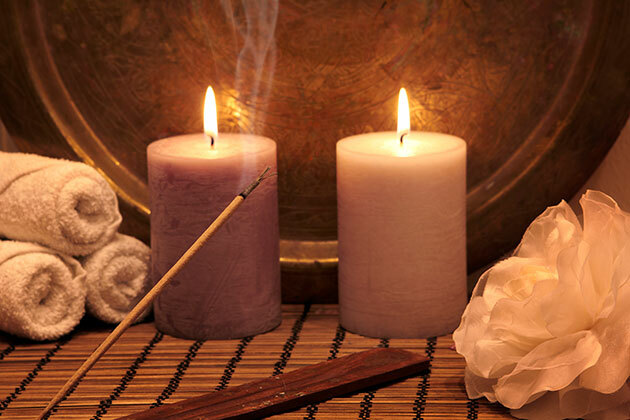 Winding down and making time to relax before bed is critical to ensure a good night’s sleep. There are many ways to do this, including taking a warm bath, reading a book, listening to music or even doing some stretches. It can be tricky to train yourself not to check your phone before going to bed or not to watch the TV until you fall asleep, but it’s important because staring at a screen doesn’t allow your mind to switch off. Having time away from technology rests your brain and allows it to prepare properly for sleep. It’s important to create an environment that helps you to sleep, and although tidying your room may be a chore, a clean room helps create a calmer environment, which is better for encouraging sleep. Try having some flowers in your room and a scented candle, as a room that smells fresh will also help you sleep better! If you can fit in a run or brisk walk in the fresh air during the day then it will help you sleep better at night. Bensons for Beds and The Sleep School advise, ‘tiring your body will help you to sleep better, but make sure you don’t exercise too late, as this will raise your core body temperature at a time when it should be cooling, which will prevent you from falling asleep’. Deep Sleep pillow spray, £30, has been given a supersize makeover! The limited edition bottle has been designed by Alexandra Palmowski M.A., winner of a student project at the Royal College of Art. The spray is a blend of lavender, patchouli, vertivert and chamomile, which can really help improve sleep. 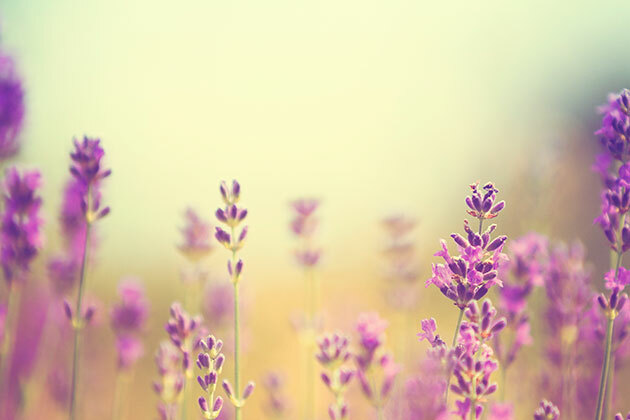 When it comes to sleep, do not underestimate the power of lavender. Elemis Cellular Recovery Skin Bliss Capsules, £79.50 for 120 (currently reduced from £140), will help repair your skin while you sleep. The capsules are 1700% more powerful than any other cosmetic oil, so rub the lavender capsule between your hands and inhale. The scent will help you sleep tight. The lightly cushioned Relax Eye Mask, £46, from Aromatherapy Associates is subtly scented with natural lavender. Use it to stay calm while you travel or wear it for bed. If you need to make up for lost sleep, go to be earlier instead of taking a nap in the day. That way you avoid disturbing your natural rhythm. Bensons for Beds and The Sleep School say, ‘Aim to keep active all day and avoid the urge to have a quick nap on Sunday afternoon. Whilst it might seem like a good idea, it is likely to confuse the body clock further and weaken the chance of sleeping well on Sunday night’. You can do this by avoiding lit up screens such as the television and iPad. Listen to music or an audiobook to relax instead. Containing sweet almond, coconut, sesame, and olive oil, it smells heavenly. You can add it to your bath, use it as a massage oil, or apply to your body and hair as a conditioning oil. Eat at least two hours before bed, to give your body time to digest. 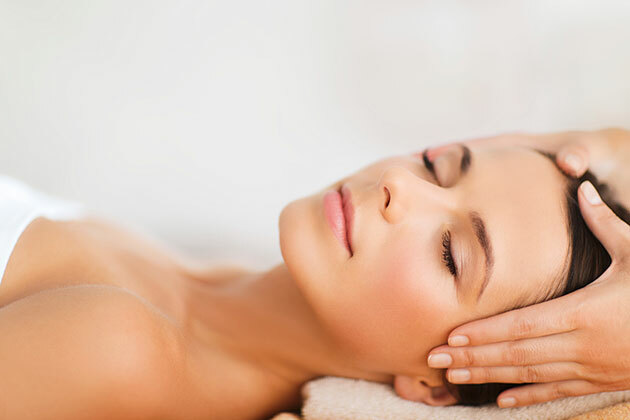 Apply Aromatherapy Associates Deep Relax Balm, £18, into your pulse points before bed. In grey old Britain it can be difficult to get your daily dose of light. Make sure you maximise your light exposure during the day as much as possible. Ways to do this include: Spending more time outside, and keeping curtains and blinds open. In extreme cases you may wish to invest in a light therapy box. Didn’t know smoking affects sleep? Nicotine is a stimulant, which causes disruption to your sleep cycle. Depending on the environment outside (if you have street lighting outside, for example, this may not be advisable), not drawing the curtains fully, or just using a blind, can allow a small amount of natural light to seep through in the morning, and will allow you to wake up more naturally. You might think that it’s a great way to wake up your skin and prepare yourself for the day ahead but submerging your face in cold water is also a lesser-known way to help you sleep. The cold water can trigger a natural reaction called Mammalian Dive Reflex that can lower the heart rate and blood pressure, which resets your nervous system making you refreshed and relaxed for bed. The optimum temperature to both sleep, and wake up in, is around 16c – 18c. Any warmer than this can mean you can not only experience discomfort and restlessness during the night, but also see you struggling to escape the duvet in the cold winter mornings. Getting a better night’s sleep is not only good for your health, it also helps you to wake up in the mornings. Make sure you have a supportive, body-zoned and temperature-regulating mattress, such as an Octaspring, use the correct tog duvet, and practice good ‘sleep hygiene’ in your bedroom by turning off any standby buttons and keeping the room airy.